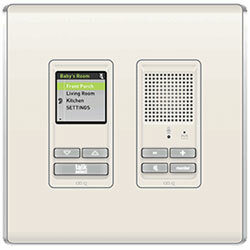 Inter-com systems connect the entire house, allowing you to talk to all rooms simultaneously or to call one room privately. When receiving a private call, the person in the room can answer hands free, even from across the room. Most inter-com systems allow a front door to be answered from any room in the house. Let our professionally trained staff show you how this option can allow your family to reach one another with a touch of a button but more importantly answer the door in a more secure and safe manor.